The Slurry Pump Polyurethane Impeller design is crucial as it influences flow patterns and ultimately, wear rates throughout the pump. The number of impeller vanes usually varies between three and six depending on the size of the particles in the slurry. Most slurry pump casings are [slower" than their Water Pump cousins, primarily to reduce wear though lower internal velocities. Slurry Pump Parts including many types. Such as Slurry Pump Polyurethane Throatbush and Slurry Pump Polyurethane Back Liner, which replaceable with standard metal and rubber liners. Q1. How to garanty the slurry pump and spares quality? A: All our pump and spare parts pass ISO 9001:2008 and CE certificate. Warranty time is 12 month except Wet End Parts. Q2. What information should be known if I want to get a quotation? A: Pump working conditions, Usage, Pump Capacity, pump Head, Slurry SG, The More the Better. Please offer me the type of the used pump that working now. Q3. 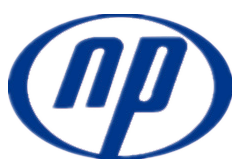 Naipu pump company product range? A: For the Common Slurry pump and spare parts , the delivery time within 7-15 days. Special material and OEM production is longer. Looking for ideal 6 Inches Slurry Pump Liner Manufacturer & supplier ? We have a wide selection at great prices to help you get creative. All the F6036U01 Back Liner are quality guaranteed. We are China Origin Factory of 8/6 Slurry Pump Rubber Liner. If you have any question, please feel free to contact us.